Many merchants offer military discounts in recognition and appreciation of the debt we owe to our military members and their families. We can express our thanks for that recognition by choosing these merchants for our business. Many veterans and military spouses have indicated that it's not the amount of the discount that matters as much as the fact that there IS a discount offered, an acknowledgment of the quiet sacrifices our military members and their families make on a daily basis. 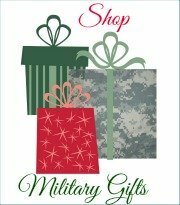 So, if you ARE part of a military family, please accept our gratitude, and enjoy the discounts offered by the businesses listed here. And remember to make it a habit everywhere you shop to ask if they offer a military discount. It may be that they've just never thought of it, and your question might prompt a new policy. Please help us continue to build a current list of merchants offering military discounts by submitting companies not on our list where you have been offered or received a military discount. 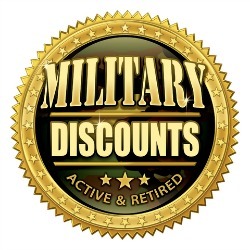 To submit an additional company offering military discounts, click the link at the bottom of this page that says "More military discounts" and scroll down to add your comments where it says "Click here to add your own comments." Please read through the existing comments to be sure someone hasn't already submitted the same company. And please verify information you receive from someone else before submitting. Unfortunately, I don't have a research staff to verify your submissions, so I have to count on you to help me make sure this list is accurate. Remember, especially when you're dealing with hotels and motels, that their military rate may not be the lowest rate. Many hotels in locations with a large number of military guests set their military rates at the per diem rate for that location. Sometimes, you may find a AAA discount, AARP discount (for retirees), or other special promotion rate that is less than the military rate (especially on weekends). 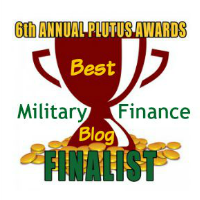 So don't just assume that the military rate is the lowest -- ASK! Sometimes, the hotel reservations clerk will tell you there's a lower rate available, but not always. So just make it a habit to ask if the military rate is the lowest available rate, or if there's some other discounted rate for which you might qualify. And if you're traveling with your family, remember that you'll save money by staying in hotels that offer free breakfasts, such as Courtyard by Marriott and others, and you'll save even more by staying in places that have a kitchenette, where you can prepare your own food, such as Residence Inn by Marriott. If you're NOT part of a military family and are just visting on this page, please take every opportunity to thank those who are. Their families endure hardships that would never even occur to you, so that your family can enjoy all the benefits of being American. Let them know you appreciate that. Discounts on new General Motors vehicles.